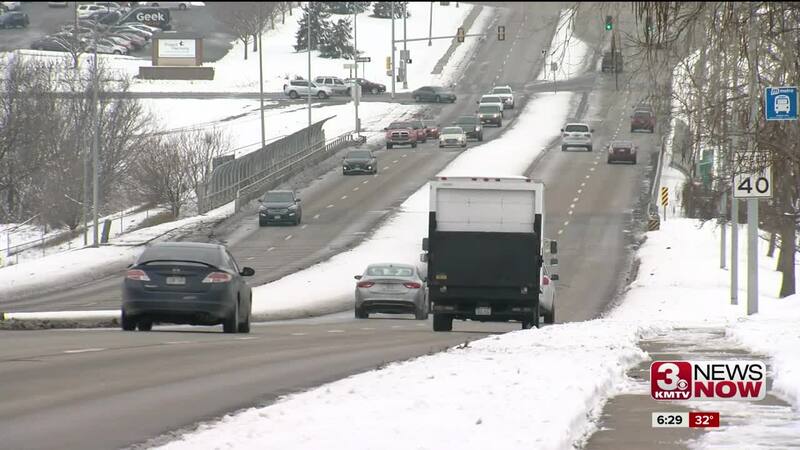 Snowy roads and icy streets covered Omaha over the weekend. For drivers who didn't handle the winter conditions well, there's a good chance their car ended up at a auto-body shop like B Street Collision Center. "The majority of cars that get in to damage during a snowstorm have suspension to them, people sliding in to curbs, in to the road, undercarriage damage," said Tony Wiese, co-owner of B Street Collision Center. Out on the roads, drivers are doing whatever they can to avoid collisions. "There are people who try to execute maneuvers in the snow that aren't necessarily safe or necessarily wise," said Michael Holley, an Omaha area driver who spends time on the road for his work. For Jade Vos her Sunday plans had a wrench put in them as her Chevy Cruise had issues on the roads. "I actually had a flat tire yesterday in the snow, it wasn't very fun," said Vos. Winter weather can mean dangerous driving, you may not only being digging your car out of a ditch but digging up large chunks of change to pay for repairs. "You'll get everything from a 700-dollar bumper job all the way up to a 20,000-dollar hit," Wiese said. "It doesn't take much to add up. Things are expensive, automatic cruise control sensors, those things are compiling in to dollars." "Yeah that stuff is a little expensive right now, especially in the winter," said Vos. "Especially in Nebraska, you never know with the weather." But you do know it's January in Nebraska and that means cold and more snow on the way. So play it safe to protect your cash, your car and yourself. "Make sure to remain two cars behind because it can get slippery out," Vos said. "By far the most important thing to do is remain comfortable, make sure the car is warm enough and focus and pay attention, people really lose attention when they're cold," Wiese said.